In cities like DC, there are usually a ton of taxis. Actually, most cities have laws that cap the number of taxis, but DC doesn't - so there is always a taxi a couple of minutes away for you to hail. There's also a sharp increase in the number of Uber drivers in DC, as well. And, the rest of the metro area is seeing the same trend. Even in Virginia, in places like Reston and a little further out in Richmond, there has been a sharp increase in Uber drivers. So, with this increase, there's more of a risk that drivers will get hurt on the job. 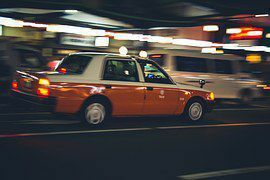 We've heard about the stories of drunk passengers assaulting Uber drivers and otherwise digruntled passengers causing harm to drivers during rides. But, are these drivers entitled to workers' compensation? Since Uber drivers specifically are not 'empoyees' in the traditional sense, they are not entitled to workers' compensation. At this point they are considered independent contractors rather than employees. At least in Alaska, Uber has agreed to pay over $77,000 to Alaska's workers' compensation fund to cover their drivers. This, lawmakers hope, will start a nationwide trend that will discourage companies like Uber from misclassifying their workers. Here at Donahoe Kearney, we are keeping an eye out for the law changing on this issue and some of the broader consequences for workers in D.C. It's no secret that some companies try to characterize workers as independent contractors rather than employees, and that has been going on for years. There are a lot of specific factors the law considers when determining if a worker is an employee (and only employees can get workers comp benefits after an injury on the job). In the meantime, learn what you can do now to best protect yourself - like making sure your employer has workers' compensation insurance and figuring out your options before you get hurt. It's the best way to take care of yourself and family. You can order our book Protect Your Rights: The Ultimate Guide to DC Worker's Compensation to learn more about what you're entitled to under the law if you are hurt in a traditional workplace. The law is on your side, but it's also a complicated and difficult system with its own set of rules - rules that if you don't follow, can prevent you from getting the benefits and medical treatment you need for your injuries. If you would like to talk about your specific injury, in confidence, with no obligation, please call us today at (202) 393-3320.